Recently I had a conversation with a dear friend of mine. She is a Protestant and she has been burned by most of the churches she has been involved with. She and her husband have encountered numerous people in the Church that have been anything but loving; people that have been caught up in a power trip and their own agendas. Currently they are not involved in any church and she was lamenting to me that they do not know where to go anymore. I encouraged her to seek the truth and seek intimacy with Jesus. I told her the problem with many of the churches she has belonged to is they were starting in the wrong place. They were seeking the things of God instead of God himself. They were also seeking community for community's sake instead of first seeking intimacy with Jesus, his presence, and the Kingdom of God. Intimacy with Jesus leads to love and is the right foundation to build a house on. A house built on any other foundation will crumble and fall (Matthew 7:24-27) which is what literally happened to a couple of the churches Tom and I were involved with in the past. I then had an epiphany based on the Annunciation of what led Tom and I to leave the Catholic Church 15 years ago. There were things on our heart we believed to be from God that we desired to do. Going off of what we knew in the natural, we didn't see how those desires could be fulfilled within the framework of the Catholic Church. During the Annunciation, when the angel Gabriel asked Mary to bear the Son of God in her womb, she asked, "How can this be since I have no relations with a man?" She didn't understand how it would come about, but she believed that nothing was impossible with God (Luke 1:24-47). Tom and I, however, had trouble believing how the desires of our heart would be fulfilled as Catholics so we went outside the Church to try and find community and operate in our gifts. The churches that we got involved with were also seeking these things first and in the end they crumbled and fell. When Jesus is the center and focus then community naturally flows out of that and it becomes strong and healthy and thrives. 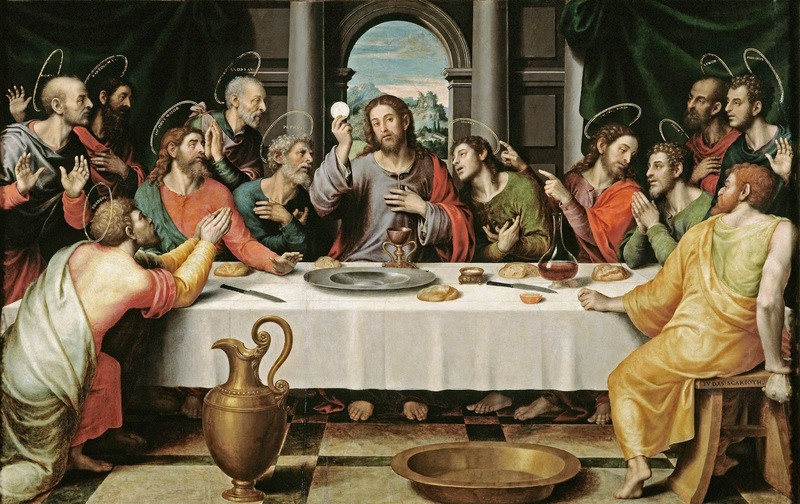 I then told my friend that the reason we became Catholic again was because we recognized it to be true and believed Jesus was truly present; body, blood, soul and divinity in the Eucharist. I told her there are only two things you can believe regarding the Eucharist; either it really is the Body of Christ or Catholics are idolaters and we worship bread. However, if it really is the Body of Christ then that is something to seriously consider. My friend asked me if they would encounter mean people in the Catholic Church. I told her they probably would because there are Catholics that need to be evangelized and who are in need of transformation. Also wherever there are people, there is going to be sin. The difference is that there is an Apostolic covenant there and even if there is sin, Jesus is still present in the Eucharist and grace is imparted through the other Sacraments. From my experience, when there is major sin among people and especially the leadership in Protestant churches, it's as if God's presence leaves the building. A Protestant speaker and prophetic person that I respect a great deal is Graham Cooke. One thing he talks about is seeking a habitation of God instead of just a visitation. There are some Protestant churches that have a certain level of habitation and the presence of God is very tangible from the moment you walk in the building. That occurs when those churches are centered on intimacy with Jesus, prayer and a true gospel message centered on the cross of Christ. Unfortunately my friend is discovering that that kind of church is hard to find. Every Catholic Church however has that habitation and has for over 2000 years. The gates of hell shall not prevail against her (Matthew 16:18)! The Catholic Church is not perfect and often there could be better preaching but the good thing is it is not all about the priest. I believe there is no higher form of worship than the Catholic Mass and the greatest level of intimacy we can experience with the Lord here on earth comes from being able to receive him in the Eucharist. I still do not have a clear vision of how the desires of my heart and promises the Lord has given me are going to be fullfilled within the walls of the Catholic Church but I am choosing to wait and trust because the most important thing is, this is where I find Jesus and intimacy with him. Spiritual intimacy with Jesus is the most important thing. Everything else is secondary.